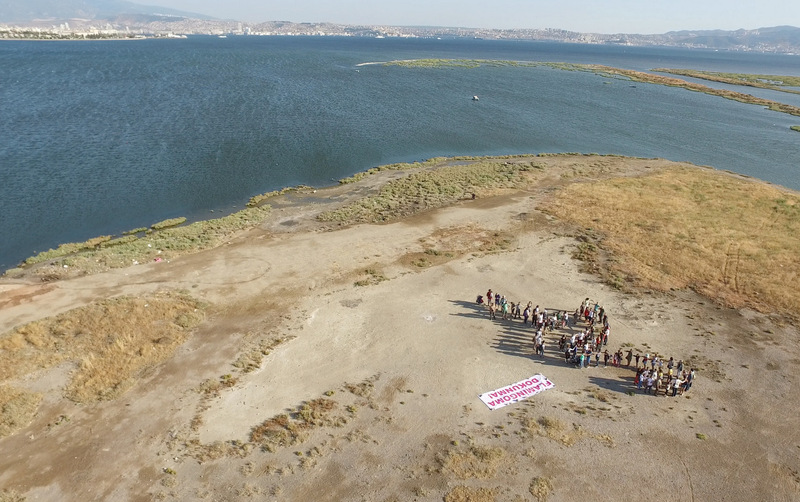 Gediz Delta in western Turkey, one of the prime wetlands for Greater Flamingos in the world, is under major threat due to a proposed mega bridge project. Doga, BirdLife Turkey, states that the bridge will irreplaceably destroy key feeding grounds of flamingos and many other waterbird species. 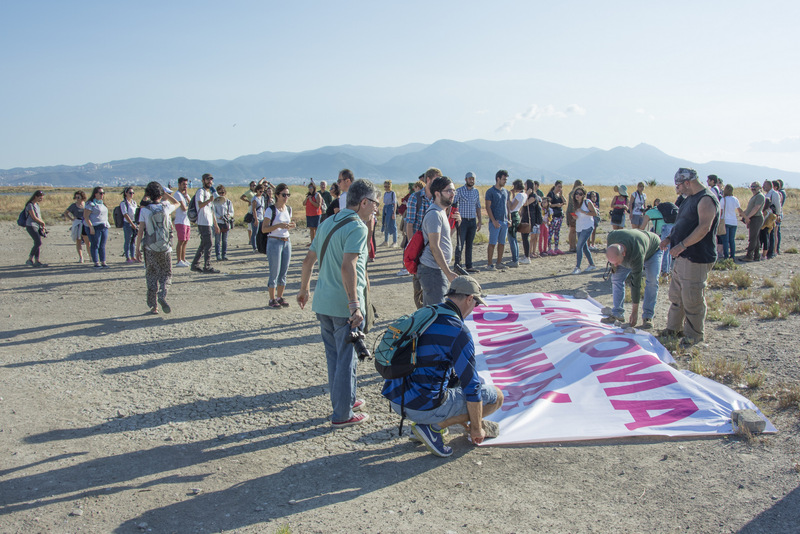 Doga and other civil society organizations in Turkey opened two court cases for the cancellation of the bridge and downgrading of protection zones of the Gediz Delta. 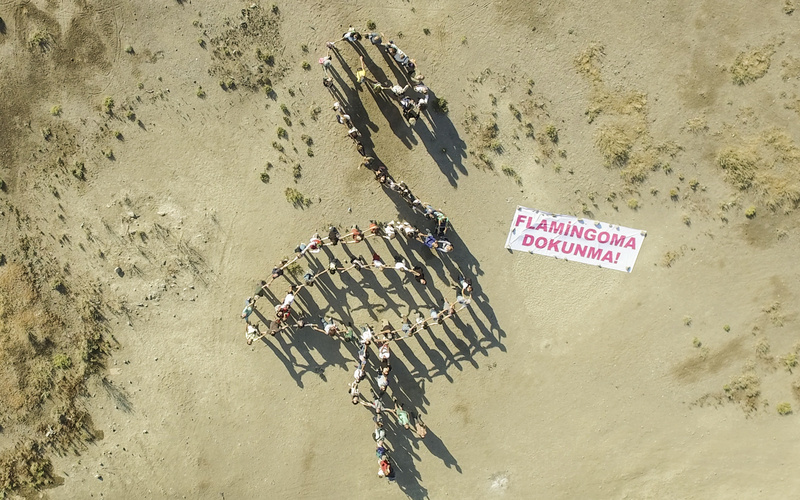 Over the last weekend, more than 80 birdwatchers and volunteers of Doga met in the Gediz Delta and drew a mega flamingo with their bodies to raise attention to the upcoming major threat to flamingos and to the delta. They also used a mega sign stating, “Don’t touch my flamingo!” The gathering of birdwatchers gained major coverage in national press. Gediz Delta, a Ramsar Site since 1998, is known to host around ten percent of the world population, and up to 30 percent of the European population of Greater Flamingos, during breeding and wintering seasons. In 2017, 20 thousand pairs of flamingos nested at the Gediz Delta, along with several threatened species such as the Dalmatian Pelican. The delta qualifies as an Important Bird Area (IBA) and Key Biodiversity Area (KBA) for great variety of species. 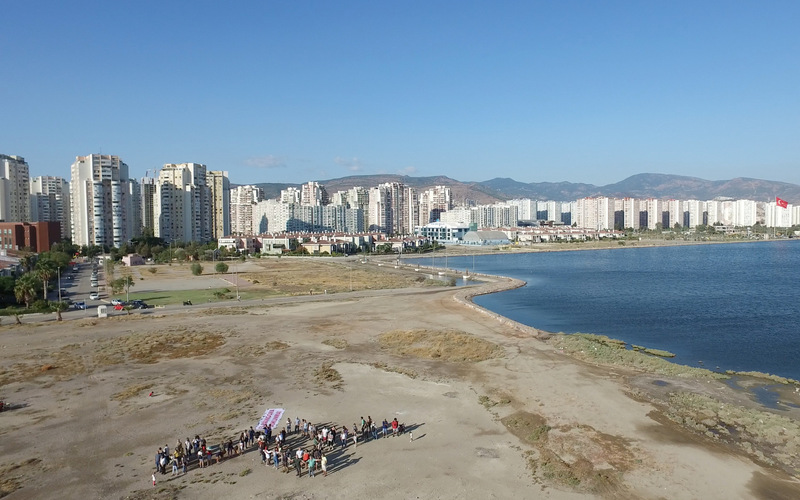 The proposed bridge aims at connecting the southern and northern coasts of the Izmir Bay, which will result in direct loss of breeding islands of birds and key foraging areas of flamingos.